Lilli Lewis is an award-winning classically trained singer and songwriter. A prolific writer, composer, pianist and producer, she began playing piano at the age of three. The social injustice themes and human rights messages that filter into her lyrics, as well as gospel tinged vocals and instrumentation, are a direct result of listening to her father’s sermons and southern choirs in rural Georgia churches while learning the northern sensibilities of her civil rights activist mother. Lewis is a sought after featured performer on main stages across the United States and abroad. In 2013 she made New Orleans her home and performs regularly as a soloist and with her acoustic soul orchestra, The Lilli Lewis Project. She is also a current member of sousaphone master Kirk Joseph’s Backyard Groove. Prior releases include “Orange Music, Volumes I & II” from which the feminist folk trio The Malvinas recorded Lilli’s “O, Let Your Light Shine Bright” (Louisiana Red Hot, 2016) on their Soona Songs release of “God Bless the Grass,” and “The Promised Land: Songs of the Sacred South. 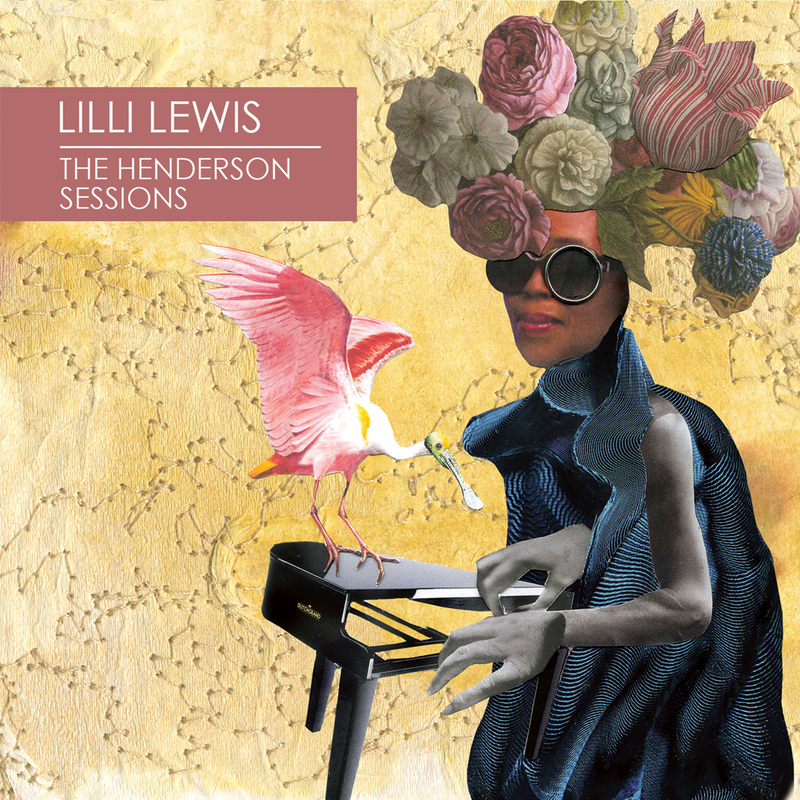 “The Henderson Sessions” is an exquisitely intimate self-portrait with Lewis’s vocals set to the barest of piano accompaniment. The record was co-produced by Lewis alongside James “Jimbo” Walsh (HBO’s Treme) and Mark Bingham (Allen Ginsberg, REM, Sun-Ra) at a studio built in a country home in Henderson, LA that was once used as refuge for Walsh’s musical community after Hurricane Katrina. When the three teamed up to demo songs for a full band album, they found the songs had something useful to say in their most raw, earnest, and primitive incarnation. Lewis’s take on the old Mississippi Sheiks tune, inspired by the Sweet Honey in the Rock version she grew up on. An “old world meets new” slow blues, a sparse and confrontational testament to grit and resilience. Plays like an urgent call from the Book of Revelations. Inspired by a dream she had over a decade ago that warned of floods, martyrs, and the over excesses of materialism, while offering up a vision of redemption as the unrest shifts us into social changes that may well be long overdue. A simple prayer and reminder that basic things like kindness and grace make all the difference in difficult times. Once we realize how little time we have to share with one another, we find it may be best to make the most of it. Inspired by a young North African refugee who lived in Clarkston, GA known as “One Shoe” because when he played street soccer with his friends, he was the only one with a shoe, giving him a play advantage. The jazzy R&B based groove says no matter how little you think you’re bringing to the table, it’s your advantage, so use it. Humbly tells the story portraits three women – a British pilot, a nurse on the verge of leaving her husband, and a Pentecostal 2nd Amendment activist – all living in the deep South and all with a shared affinity for fire arms, pointing out that in the South, everyone coexists in a rub of complicated stories. This jazz-waltz interpretation of Blind Willie Johnson’s gospel blues number was inspired Miss Nina Simone’s recording. The tune hammers in the message of personal responsibility for one’s own redemption, no matter the circumstances. A pleading arrangement of Laura Nyro’s tune, adapted from an early 90s Christmas Eve performances at New York’s Bottom Line. This setting lets the haunting quality of Nyro’s original melody and message shine through. This eerily prescient tune is taken from Righteous Babe Records Artist Anais Mitchell and her 2010 folk opera Hadestown. Here Hades, God of the Underworld, is found convincing his subjects that building their own prison, a wall so high they can no longer see the sun, is their sole path to freedom. A final call to personal responsibility, “Turn It Around” was written in Boston in the wake of the 9/11 attack on the World Trade Center. The “self-reflection” was an attempt to reconcile how people so often resort to violence and aggression and what might be done about that. Lilli’s conclusion was that would at least start by attempting to root out her own aggression, fear, anger, and doubt.